Screen tearing, pages not closing well. I am new to Antergos. Websites don’t close as they should, the window flickers and is stuck. I try every combination I can think of to close it, I think it es closed but for some blasted reason, it does not want to accept it. Out of sheer desperation I found by ‘right clicking,’numerous times I could get the wallpaper up. Th wall paper does not fill the screen , there being a slit down the left side. Pages tear, if that is the right nomenclature, when I scroll up or down on page. Small window containing information on what I should or should not do, more times then naught don’t appear. I’d like to give Antergos a fair try, but it is hard when it seems to be out to frustrate me. I am looking for help in making my way around this Distro. I wondered about the the drivers but could not figure out where to check up on them. My PC is an HP Pavilion with an AMD E1-2500 Accelerated Processor, and a AMD Radeon HD 8240 Graphic. I went to ‘Add & Remove Software”, to see whether I could install up to date drivers? I was looking for something along the ‘ati’ line. “nvidia-340xx”, and its dependecies. I would seem that I can not go back to those thrilling ‘drivers’ of yester-year. Some tearing also depends on which desktop environment you chose. If you went with the default Gnome3 then you should be fine, if however you went with XFCE tearing is a known issue. I have my Antergos with a KDE desktop environment. As to the other matters, I am still at a loss. I have read both articles a couple times at least an have come away scratching my head. I will continue to peruse both articles in an attempt to either better understand both or formulate questions suited to what I would be trying to understand as pertains my situation. I am new to Antergos. I’d like to give Antergos a fair try, but it is hard when it seems to be out to frustrate me. Welcome, then. As a new user always bear in mind that Antergos is practically Arch Linux. So, it is always a good idea to consult their forum & wiki. A way larger community, a lot more chances to find something that covers you. Also, Google is…our friend (not). I have come up with these results. I hope a fix from either the Arch or the KDE communities might be of help. (Some title descriptions read very similar to yours). 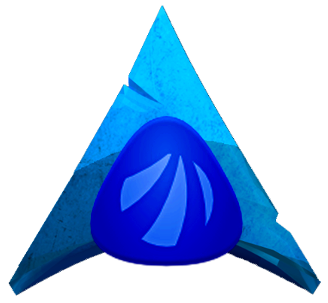 I was hesitant to try the suggestions given, so I reinstalled Antergos with a Gnome DE and since then I have not had any tearing as I had with the KDE desktop environment. I waited to be sure thre would not be an issue and so far there has not been. There is a possibility I will want to try installing Antergos with the KDE desktop, and I may face the terror of screen taering. I may need to keep some of the lnks offered, just in case.